The latest school shooting in Santa Fe, Texas brings out the same tired rhetoric from the left. They’re blaming guns, the NRA, and President Trump. What the left isn’t doing, however, is offering new and pragmatic solutions. Legislators can’t pass up opportunities to score political points in the aftermath of tragedies, especially mass shootings. They flaunt their sensitivity, a little thing called virtue signaling. The public already knows how terrible they feel about the tragedy – something we all share. Unfortunately, it’s become a ritual: demand action against guns, propose useless legislation, and create a media frenzy. The initial shock eventually wares off and everybody goes home feeling good about themselves. Despite no substantial changes, these leftists go to sleep feeling virtuous. The reality is that there will be another mass murder at another school, we just don’t know where yet. This will happen again because we are debating the wrong remedies to control this abhorrent behavior. We debate technical fixes like changes in the law and punishing people who had nothing to do with these events like the NRA and law-abiding gun owners. What America truly needs are adaptive fixes. This mean real changes in human behavior. In contrast, technical fixes are the low-hanging fruit – easily regurgitated talking points and proposals that don’t actually stop mass shootings. A lot has changed over the past 30 years. America has always had many firearms in circulation, laws against killing people, gun control, bullying and the like – these are not new phenomena. What is strange, however, is that people suffering from mental illness decide to mow down their classmates instead choosing to seek help or being flagged by their parents, classmates, or teachers. Two decades or so ago, people still faced similar problems – disappointment with their lives due to normal, coming-of-age pressures. But instead of overcoming said obstacles like adults, they resort to terrifying violence. It’s clear that something has changed in regard to how people seek help and how they overcome the realities of life. Liberalism is that change – pampering people in safe spaces instead of making them act like adults. We need a new narrative regarding mass shootings. Instead of calling for more, ineffective gun control, we must discuss the impact liberalism has had on behavior control. As a governing ideology, liberalism has mainstreamed all behavior no matter how bizarre it might be. This enables crazy conduct that has no limitations – an era best described as “anything goes.” The reality is that conduct must have well defined and established borders. We have become unmoored from community standards of decency and acceptable behavior. This, in part, stems from cultural and political liberalism – where nothing is too extreme and no conduct or lifestyle can be judged in terms of acceptable societal norms. Unbridled liberalism waged and won a culture war. This has eroded societal norms in regard to behavior. Cultural rot and degradation, liberalism tells us, has some redeeming quality that should be embraced by all. Therefore, no consequences exist for unwanted behavior. We are now paying the price for not having won this warped culture change, one that is playing out in mass shootings. The liberal attitude toward the criminal justice system showcases the dangers of this philosophy. Instead of strongly enforcing the rule of law, liberals purport that people shouldn't be held responsible for their behavior via formal punishment. This has strangled the justice system for over two decades. It manifests in failed social engineering experiments like community corrections that allow a violent repeat offender to walk among the law-abiding public. That does not teach such an offender that their behavior won’t be tolerated. Consequently, such criminals do not learn about their wrongdoings, continue to engage in antisocial behavior, and reoffend. More recently, the so called PROMISE program hailed by former President Obama allowed school shooter Nicholas Cruz and countless others to escape consequences for criminal behavior out of racial sensitivity. Under the guise of some misguided balance in criminal justice sanctions, a violent perpetrator was left alone. These liberally-designed school discipline policies keep disruptive and violent kids inside classrooms instead of having them suspended or expelled. No learning can take place in this chaotic environment, and it has to end. Even in instances of terror like the Boston bombing, Fort Hood shooting, Pulse nightclub shooting, and the Charleston church shooting can one find liberalism’s politically correct philosophy. If people want to know why “See Something, Say Something” hasn’t been successful, they should analyze the impact of political correctness on our justice and education systems. Even when people’s gut tells them that something isn’t right, liberalism’s shadow lurks overhead – ready to call them out as a bigot simply for reporting suspicious behavior. 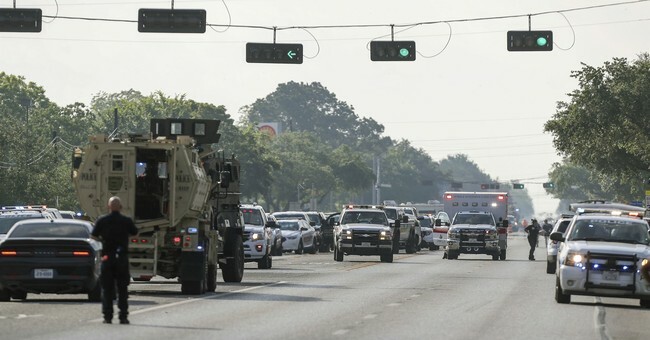 The FBI under Obama’s liberal bent was ordered to look the other way when the system was blinking red on Army Lieutenant Nidal Hasan, Omar Mateen, the Tsarnaev brothers, Syed Rizwan Farook and Tashfeen Malik. Local law enforcement executives have fallen for this social engineering garbage, a dangerous set of policies that were birthed in progressive academia. The flawed theory of inherent bias has been shoved down the throats of law enforcement officials, resulting in a lack of excellent performance. If we seriously want to re-establish the time-tested means of societal control of human behavior – bedrock principles that keep bad behavior in check – we should start by getting rid of liberalism’s control of effective parenting, school discipline and the criminal justice system. We need to allow society to stand in judgement of and marginalize people who behave way outside the mainstream. Those people, as we have learned, have been welcome in the mainstream and have committed mass acts of violence. Because of liberalism, people today feel free to push the boundaries on unacceptable behavior. The more bizarre, the better. We should call it for what it is: weird behavior. This is not a call for physical violence against such individuals, but rather the enforcement of strong societal norms against criminal behavior, such as shaming. After all, it’s an effective tool to keep potential criminals in check. Most people want to be a part of society at large, and those individuals should be welcomed. Counter-culture folks that go to the extreme will always exist but they should be marginalized. David A. Clarke Jr. former Sheriff of Milwaukee County, is now President of DAC Enterprises and Chair of American Law and Culture for the Capital Research Center.